TORONTO - October 27, 2017 - DiversityCanada Magazine recently named Norma Tombari, Global Diversity & Inclusion, RBC, as one of the Top 5 Influential Women in HR & Diversity. Each year DiversityCanada Magazine shines a spotlight on the top Influential Women in HR & Diversity to recognize transformational leaders in Human Resources, Diversity & Inclusion (D&I), and Health & Safety in Canada. Norma, has been instrumental in making Diversity & Inclusion a cornerstone of what we stand for at RBC, and ensuring that our company is consistently recognized for exceptional initiatives to attract, develop and retain diverse talent. Working closely with leaders at RBC, Norma helped shape the development of the Diversity & Inclusion Blueprint 2020, built on three key pillars: Talent, Clients and Community. Norma's leadership of RBC's Global Diversity & Inclusion team and solid partnership with the Diversity Network of councils and employee resource groups, are instrumental in ensuring the ongoing success of our D&I initiatives. Through Norma's holistic and forward-thinking view of D&I, RBC has committed to several key priorities including increasing representation of women and minorities in leadership roles, strengthening grassroots engagement, addressing unconscious bias, and implementing diversity scorecards and metrics. 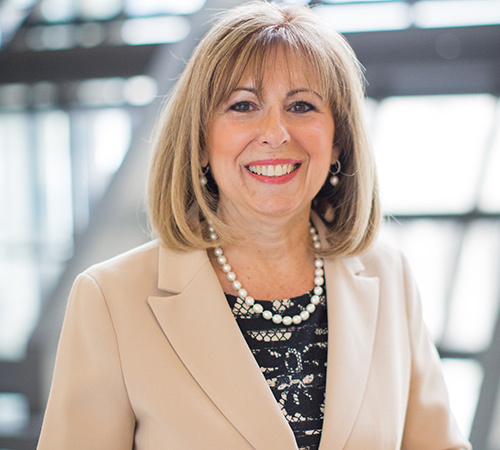 Not only does this recognition honour Norma’s achievements, influence and professionalism, it also showcases the role RBC has played as a leader in Canada to highlight issues of importance, share best practices and serve as a catalyst for change. During the past four years, DiversityCan has honoured 20 women who use their talent, experience, and knowledge to develop inclusive and diverse workforces and supply chains, inclusive corporate cultures, leadership that embraces D&I, and healthy and safe workplaces.